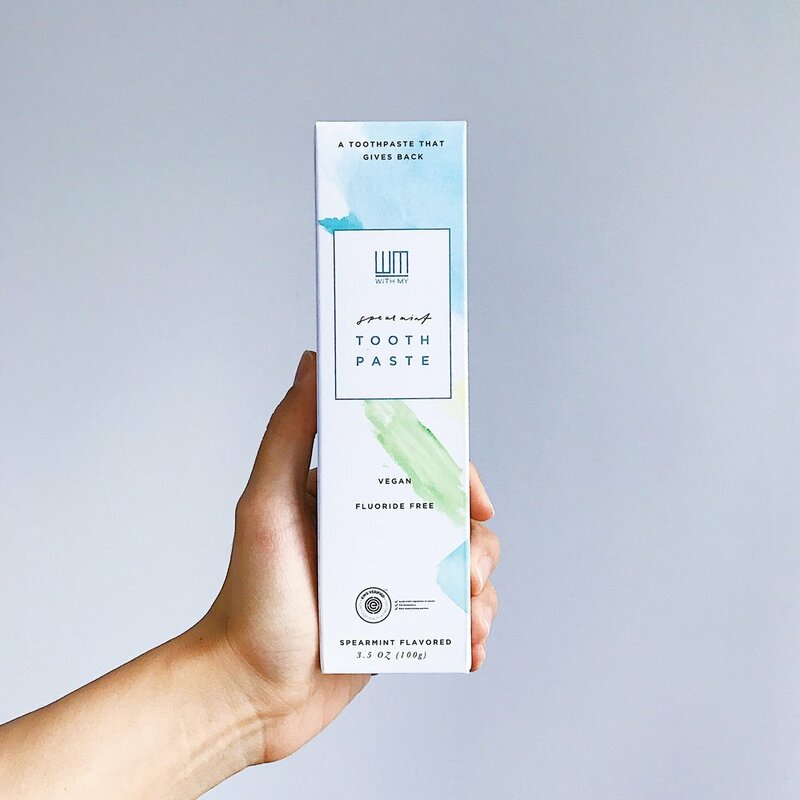 Founded by a U.S. trained dentist, WITH MY's hero product is an EWG VERIFIED™, All Natural, Lemonade flavored Cruelty-Free Vegan toothpaste that Gives Back. 27 Natural Ingredients make it Safe for children and adults alike. And for each toothpaste sold, 10% of the profit is used for children's oral health and education world-wide. WITH MY toothpaste is a dentist developed, EWG verified Lemonade flavored, All Natural Toothpaste. Perfect for children and parents alike. WITH MY gives back 10% of the profit for children's oral care and education. If you're gonna buy anyway, buy for love. WITH MY is a PETA registered Cruelty-Free and Vegan brand. We also do our best to use environmental and sustainable ingredients and materials. “What if we can give back not through accessories, but via products we would use anyway?"